"THIS is the once and future Avengers." - Ain't It Cool News Doom looks like a lady! The super-hero Civil War is over, but Iron Man's work is just beginning. As the new head of S.H.I.E.L.D. 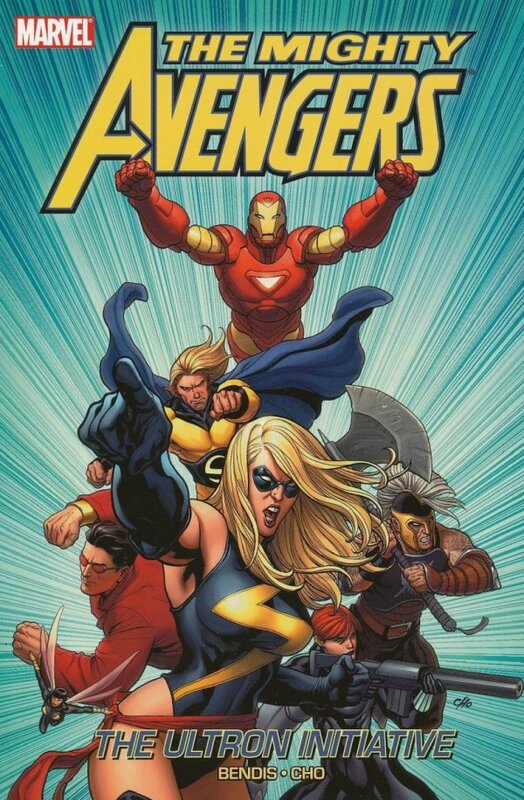 and creator of the nationwide Initiative program, he's rebuilding the Avengers with a handpicked roster of Earth's mightiest heroes: Wasp, Black Widow, Wonder Man, Sentry, Ares and new team leader Ms. Marvel. A group this powerful should be ready for just about anything - except, perhaps, the return of genocidal killing machine Ultron. The Avengers' insane robotic foe has rebuilt himself yet again, this time in the form of?a beautiful woman!? NEW AVENGERS writer Brian Bendis and Liberty Meadows creator Frank Cho launch an all-new Avengers series pitting the team against the ultimate femme fatale!